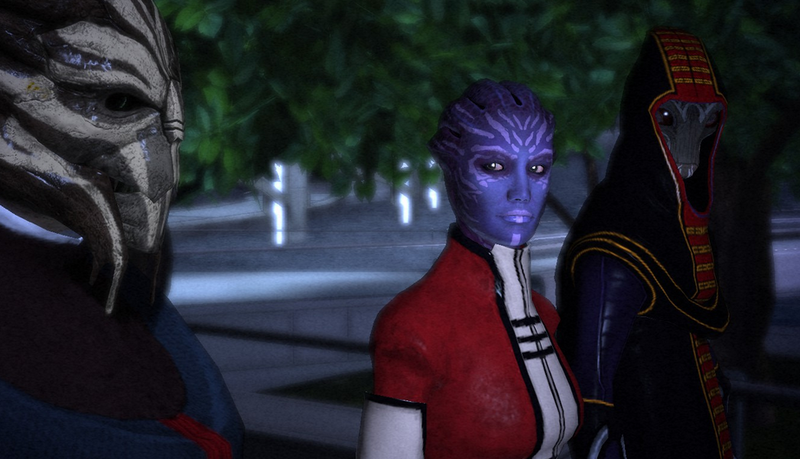 Perhaps their behaviour in ME1 can be excused on those grounds alone, but in ME2? To take just one example: sure, a large part of Sovereign fragments vanished – I’m suspecting the Collectors – but the turians alone recovered enough to re-engineer a prototype of the thing’s main weapon in just a year or two. And no-one thought to do a simple compare-and-contrast with the zillions of actual geth ship fragments floating around the nebula? Sovereign’s attack wasn’t the equivalent of being given a date for an asteroid impact. It was more like a half-mile asteroid wiping out New York. It’s been well established that hanging around Reaper artifacts, even fragments, is Bad News no matter what precautions you take. And yet here we have the individuals responsible for coordinating any meaningful galactic defence, along with most of their intelligence and security apparatus, making their decisions from inside a giant Reaper artifact. It would have to be subtle: not a noticeable difference between those arriving on the Citadel and those leaving it. But it doesn’t take much of a nudge to get people, even intelligent and resourceful ones, to believe what they desperately want to believe. Go to the Presidium in ME1 and take a walk around. What’s that on the ambient track, even though there’s nobody within fifty metres? Whispering.